Can’t type into Spotlight? On 10.12? This afternoon I found myself without the ability to type into Spotlight on my new iMac running macOS 10.12.3. All other apps received keyboard input just fine. At the time I was using Spotlight to do some basic calculations involving adding two sums of money up. A bit of Googling lead me to this page, one answer for which was to restart the Spotlight process using the Terminal command “killall Spotlight”. That did the trick for me, Spotlight once again accepted keyboard input. Going to keep an eye on this site by Matthew Brett, as much of the content seems right up my alley as a Mac developer. Protected: Bigelow Holiday Party 2016! If you’re reading this, you have probably found some USB stick or external drive with files named .Trashes, .fseventsd, .Spotlight-V100 (and possibly even the more rarely reported ._.Trashes) on it. You might also be annoyed to see files in various directories called .DS_Store. Right? 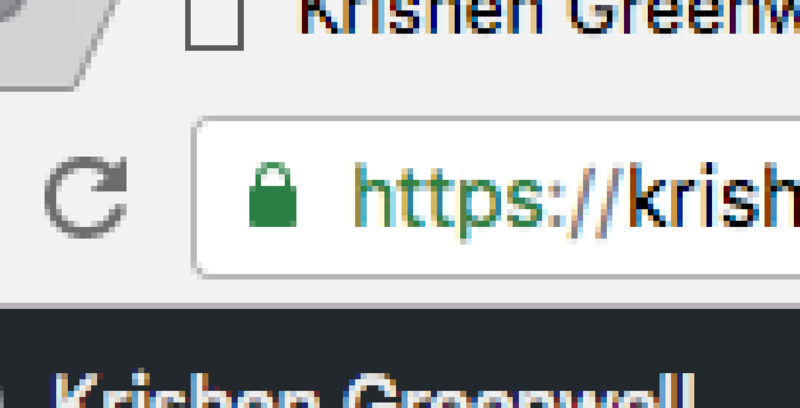 Generated TLS/SSL certificate (free thanks to “Let’s Encrypt“, and easy thanks to Dreamhost’s built-in, couple-click-install Let’s Encrypt assistant). This sent me an email with my site’s public key. The private key can be downloaded from Dreamhost’s web panel. Loaded my site’s main page and used Chrome to identify page elements that weren’t using https. In my case one of those items was a Google font pack that was referenced insecurely by my WordPress theme (Origami). Thankfully, updating the theme to the latest version alleviated that problem, but if it doesn’t for you with your theme this page describes how to fix the offending bits manually. There are still a number of manually-generated legacy HTML pages from back when this site was run on MovableType that have http links that I’ll eventually get around to changing. I’ll probably back up my public/private keys on a USB key and store them somewhere for safekeeping. That’s it! Happy green lock everywhere!